By Amanda Gibbs July 10, 2017 Portland, Ore.
On the heels of the successful completion of Phil and Penny Knight’s $1 billion fundraising challenge, the recruitment of a new director for its Cancer Early Detection Advanced Research Center, and the groundbreaking of a building dedicated to cancer research, the OHSU Knight Cancer Institute is awarded the National Cancer Institute’s premier status: Comprehensive Cancer Center. To garner the NCI’s top accolade, institutions are required to meet stringent criteria in three key areas: laboratory research, clinical research and population-based science. Specifically, a Comprehensive Cancer Center is required to demonstrate a proven aptitude in research that bridges these scientific areas, serve the broader population through cancer research, and integrate training and education of biomedical researchers and health care professionals to enhance its scientific mission. Currently 48 institutions nationwide have earned this coveted designation, including: MD Anderson Cancer Center, Dana-Farber Cancer Institute of Harvard University, and Memorial Sloan-Kettering Cancer Center. The Knight Cancer Institute has been an NCI-designated center since 1997 and is the only NCI-designated cancer center in Oregon, but it now has advanced to the highest level of NCI designation. The upgraded distinction comes as the result of a rigorous, months-long review that culminated in a site visit by cancer research leaders from across the U.S.
Every five years, NCI-designated cancer centers apply for a Cancer Center Support Grant that provides essential funding to support infrastructure and create shared research resources. 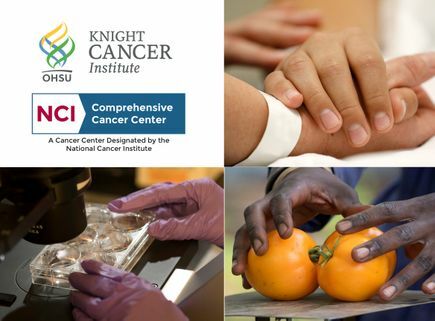 The Knight Cancer Institute experienced significant increases in NCI funding totals, swelling from $21 million in 2010 to the current $42.9 million. 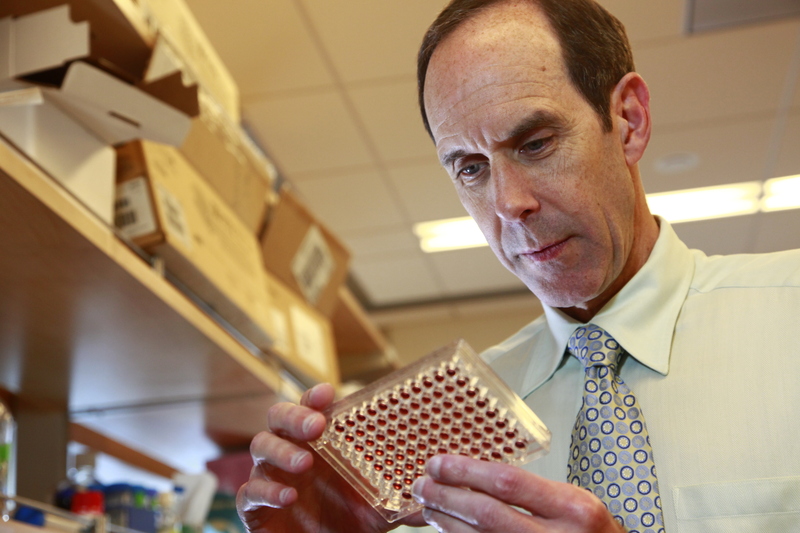 Unprecedented philanthropic support and significant expansion allowed the Knight Cancer Institute to recruit 32 new faculty members and their teams to OHSU. The institute offers clinical trials that provide cutting-edge new treatments for patients, has consistently increased enrollment of patients to these clinical trials and they have led studies that resulted in the FDA-approval of nine new cancer therapies within the past five years. With the goal of providing funding and expertise to address community-identified cancer-related needs, the Knight Cancer Institute created its Community Partnership Program to support the development of sustainable collaborations within Oregon communities. The program has committed $1 million per year, for 10 years, in grants and other resources to foster development of projects across the cancer continuum, from prevention to survivorship. As of June 2017, the program funds projects impacting Oregonians in every county across the state. 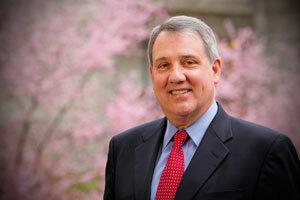 Key to the overall vision for the institute is the focus on the early detection of cancer. Druker and team have implemented a unique program to develop tools and technologies, with the goal of distinguishing lethal from non-lethal malignancies. The director of the institute’s Cancer Early Detection Advanced Research Center, Sadik Esener, Ph.D., has outlined key areas of focus for the center, including: early technology, early biology, population-based science, and prognostic assessment, among others. The institute’s perspective is that catching the disease in its earliest stages will unleash the full potential of precision cancer medicine by making it possible to detect cancer when it first starts, when it is most curable. OHSU President Joe Robertson, M.D., M.B.A.